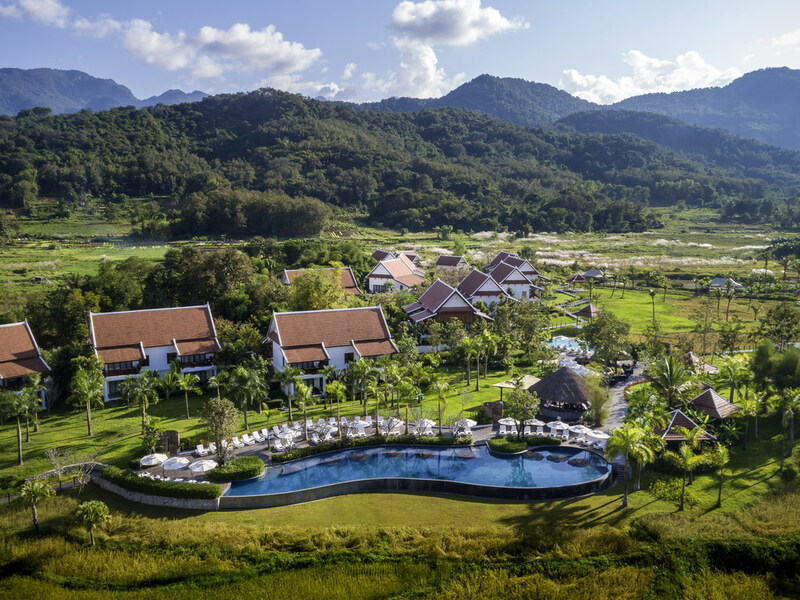 Nestled in 16 hectares of beautiful countryside, surrounded by lush paddy fields, rivers and mountains, Pullman Luang Prabang is a newly opened 5-star resort providing the perfect setting for business and leisure travellers. The resort features the most complete facilities in Luang Prabang with three swimming pools, a secluded spa and lakefront restaurant. Situated 10 minutes from downtown, Pullman Luang Prabang is also home to Luang Prabang's largest conference centre with state-of-the-art facilities. The ancient city of Luang Prabang is considered to be the cradle of Lao culture. Nestled in jungle-clad hills at the confluence of the Mekong and Nam Khan rivers, this enchanting destination is the former royal capital of Laos and a beautiful UNESCO City. Providing leading edge of modernity and comfort, all rooms and suites feature a large terrace, connectivity panel, free WiFi, workspace and areas to relax. Each bathroom has a walk in rain shower and a separate bathtub with daylight. Enjoy a wide variety of culinary delights in our all day dining restaurant. Combining ingredients from our organic garden and the local communities, we offer exceptional dishes from all continents inspired by our international executive chef. The Pullman lobby bar concept: when barista meets bartenders and when morning pastries meet tapestries. Enjoy the view of the paddy fields and exotic gardens with your friends and family, while enjoying our delectable cocktails. At the resort's main infinity pool and surrounded by rice fields, H2O is delivering refreshments directly to sun-loungers . Enjoy a delicious local bite and international cuisine with a wide range of salads, BBQ item, fruit juices and cocktails.